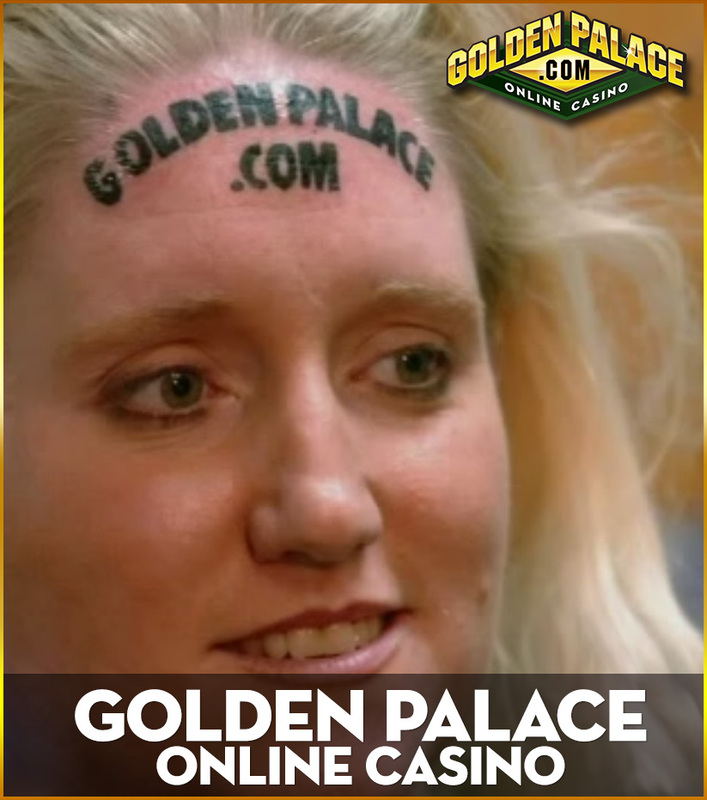 The ex-king of guerilla marketing and advertising Golden Palace online casino was probably the first enterprise to buy off skin as permanent advertisement space. 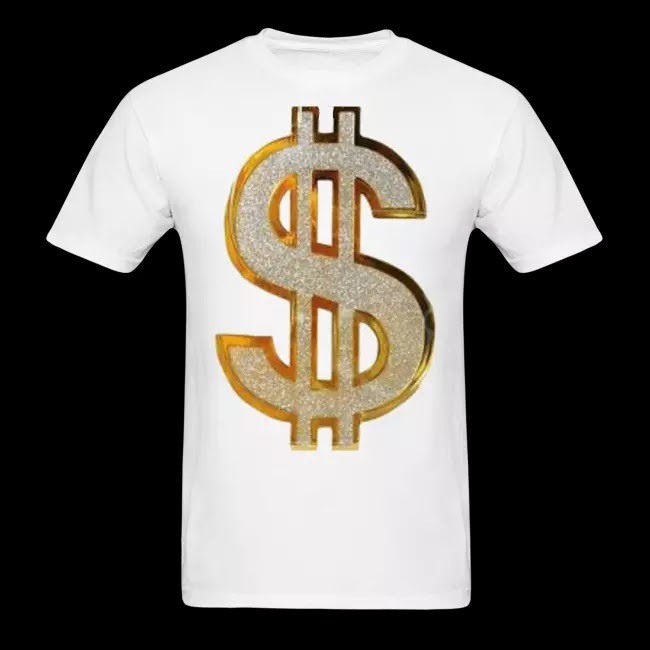 In my view, getting people sporting your logo, URL or name on their skin is a genuine marketing tool for the company and a tremendous ego boost for the owner. 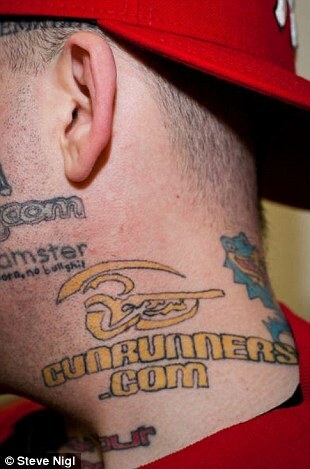 PYGOD.COM tattoo is coming soon but I'm still waiting for you to get BillionaireGambler.com tattooed on your body. Karolyn Smith is the most popular Golden Palace tattoo. But "The Human Pincushion" was the first ever to have a permanent ad tattoo on his forehead. Angel Brammer auctioned her ample 42GG breasts for ad space. Golden Palace bought it for only £422 (US$681). Since MONEY can buy EVERYTHING! Many people are now auctioning and selling their own skin for advertisement purpose. 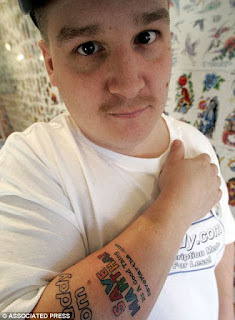 Hostgator.com formerly known as Billy Gibby AKA Billy the Billboard legally changed his name and became the ultimate human billboard to feed his kids. 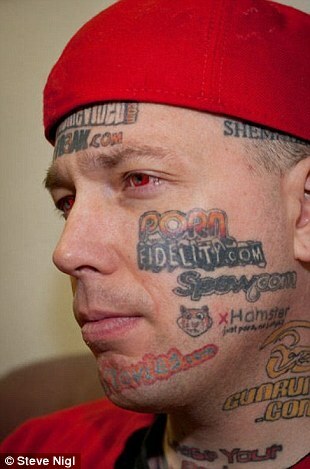 Hostgator.com (Billy Gibby) has approximately 37 tattoos, most of them on his face. Joe Tamargo, age 38, has 15 websites URL tattooed all over his body for a claimed $200,000. 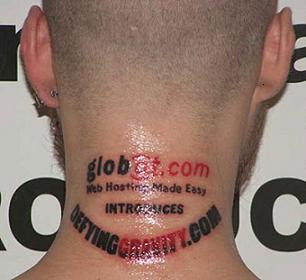 A very fine logo done by a professional tattoo artist. Here are a list of some of the skin-advertised websites with their working links. As you will see some of this sites are now-defunt. 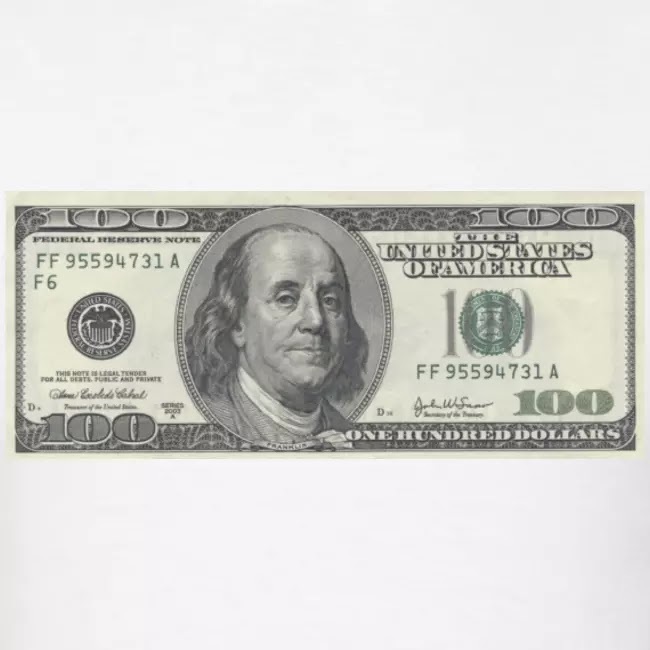 Would you sell off chunk of your skin for Money? DreamHost is ultimately one of the best web-hosting provider for any hosting plans you might require.